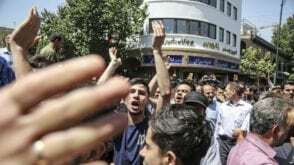 Reuters – Mounting pressure from the Trump administration combined with discontent among many Iranians at the state of the economy are rattling the Islamic Republic, with little sign that its leaders have the answers, officials and analysts say. nationalreview – Mahmoud Alavi’s name recognition is low, but the government unit he leads remains indispensable to Iran’s efforts to subjugate its neighbors. 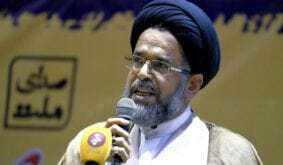 Radiofarda – A prominent reformist politician and former member of parliament, Ali Shakouri-Rad says President Hassan Rouhani is unlikely to be capable of tackling Iran’s current economic crisis. Radiofarda – An ultraconservative clergyman has lambasted President Hassan Rouhani’s government for letting women to enter Tehran’s main sports arena (Azadi stadium) and watch Iranian national football squad’s two televised soccer matches against Spain and Portugal. Radiofarda – Iran’s oil minister criticized domestic opposition to new oil contracts as the reason why oil exports have remained relatively low, making Iran vulnerable to sanctions. Al-Arabia – An international group that monitors money laundering worldwide said on Friday Iran had until October to complete reforms that would bring it into line with global norms or face consequences that could further deter investors from the country. 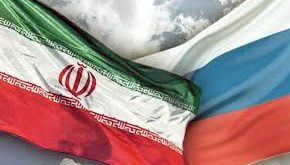 Has there been a divorce between Russia and Iran? Al-Arabia – Has American President Donald Trump, who is an expert in business, reached a meeting point in terms of the Syrian dilemma with “pragmatic” Russian President Vladimir Putin at the expense of the destructive Iranian role? Al-Arabia – Joint Yemeni resistance forces took down the third Iran-made Houthi drone on Friday, carrying explosives in the Durahemi district in Hodeidah, media representatives for the forces said. CHRI – Iranian civil rights activist and political prisoner Arash Sadeghi is being denied medical leave to undergo testing for a bone tumor that could be cancerous.